An active and organized network of professionals contribute to the worldwide efforts of Gentle Teaching and its direct, beneficial outcomes for both individuals and service professionals. Our community at Globe Star is comprised of direct service workers (caregivers), their supervising mentors, the individuals we serve and their families, our service-coordinating servant leaders, and our local business community. Also included are case managers and other health professionals who work with the Individuals. These professionals are outside of Globe Star, who collaborate with our agency, letting us work as a team. Globe Star works with the International Gentle Teaching Community to mentor individuals with developmental and intellectual disabilities, working with them as they discover how to actively participate and become engaged in their communities. Other international involvement includes the International Snoezelen-Multi-Sensory Association (ISNA-MSE). 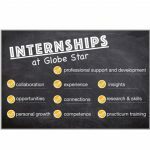 Globe Star is represented in national associations such as the American Association on Intellectual Disabilities, the Association for Persons with Intellectual Disabilities and Mental Health, The Association for Persons in Supported Employment, and TASH. Globe Star supports and is supported by many organizations throughout the state of Indiana. Director Tony M. McCrovitz is an adjunct faculty member at Purdue North Central University, and serves as a consultant and board member for numerous local organizations. He is currently serving as president of the Indiana Counseling Association (ICA).